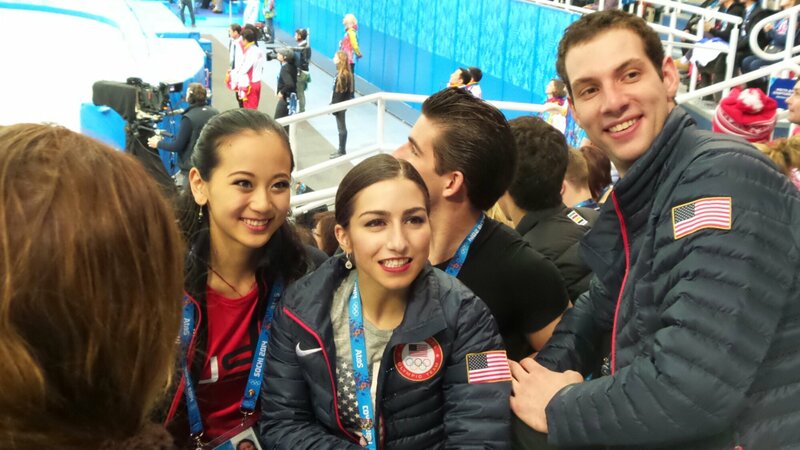 Both of our pair teams skated great!! 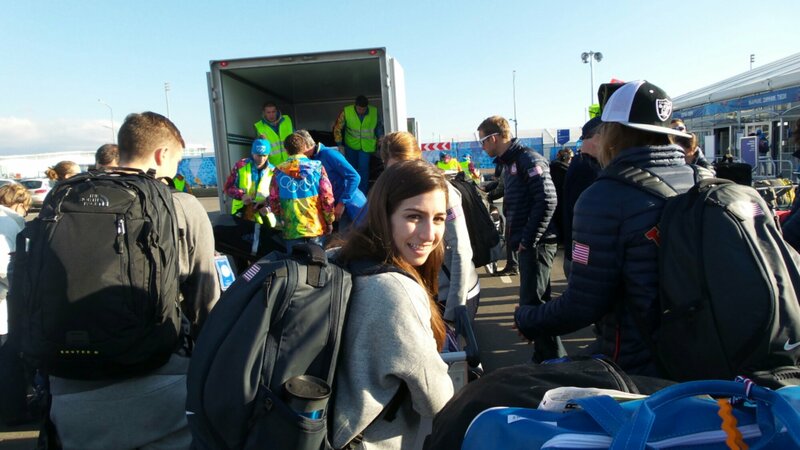 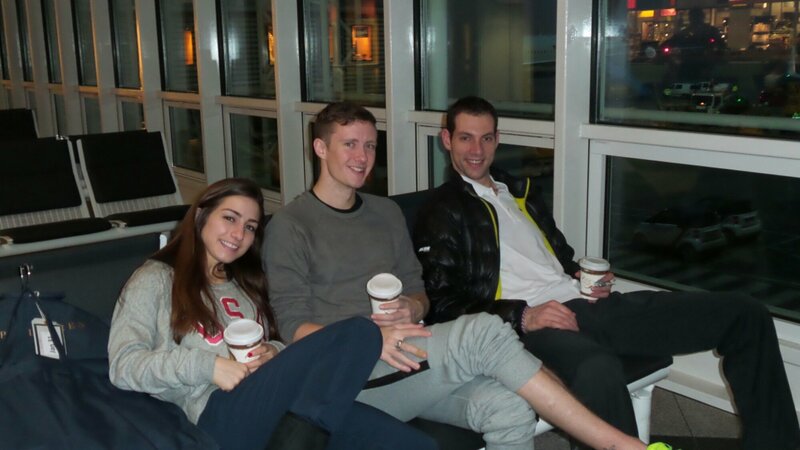 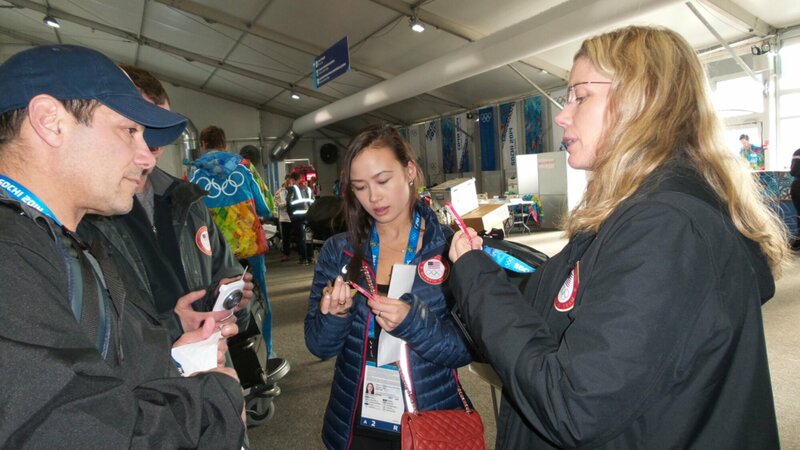 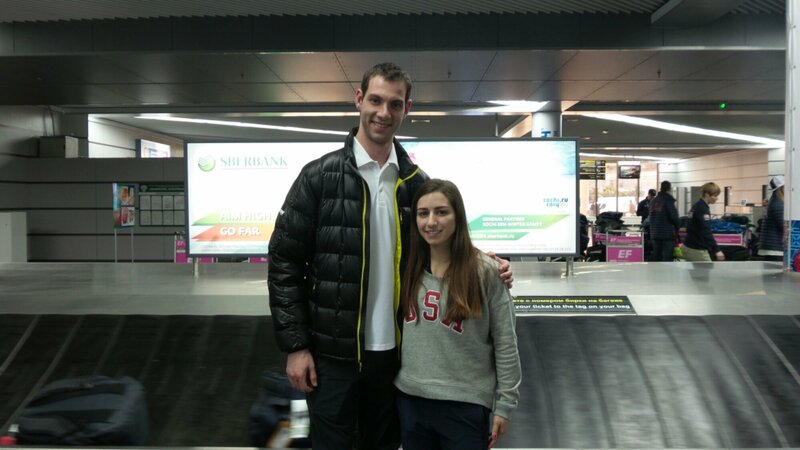 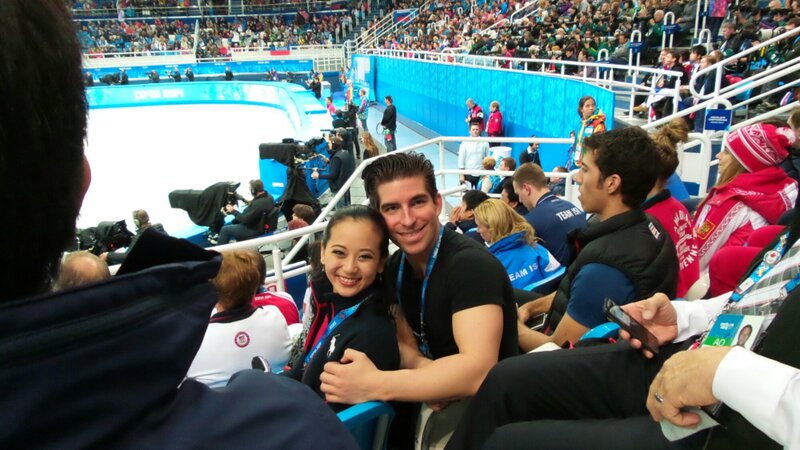 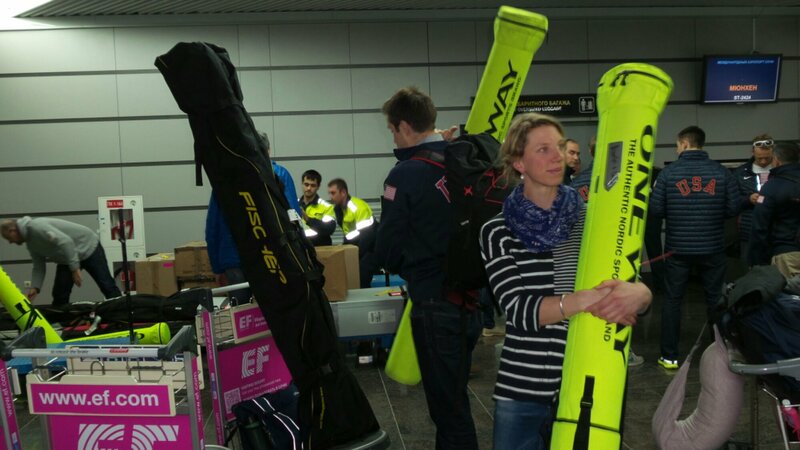 Felicia and Nate had a clean program (at the Olympics)-way to go guys! 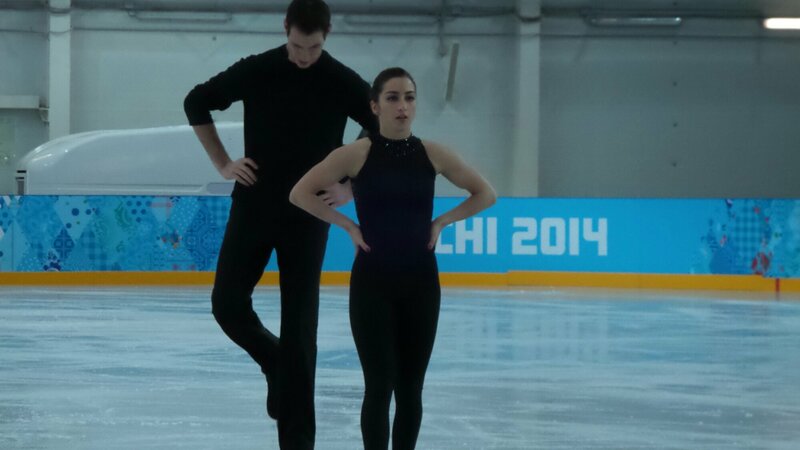 And Marissa and Simon skated great and ended up in the top 10 in 9th place-awesome for them! 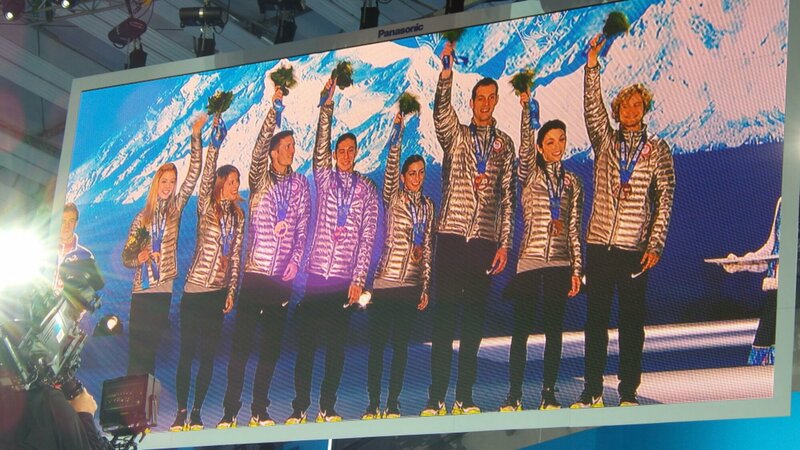 We’re all proud of you guys- you rock! 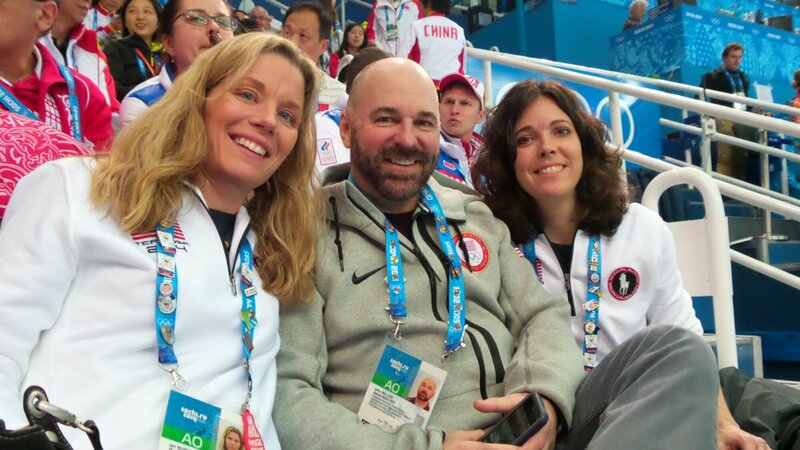 That’s our team physician Jen Burke and one of our team leaders, John Millier sitting next to me. 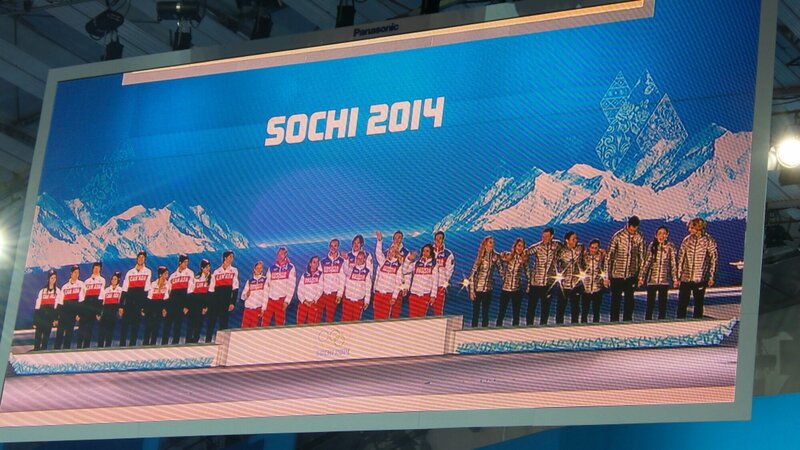 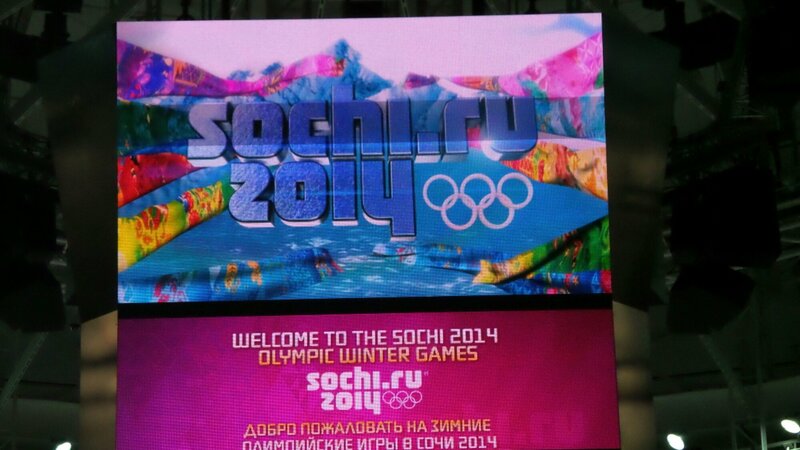 It was exciting to attend the medal ceremony as our team received their bronze medals! 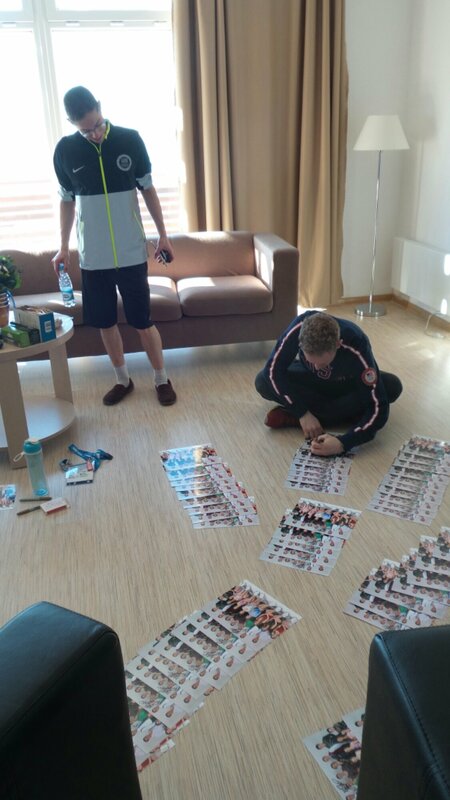 Jason and Evan take time to sign a series of U.S. 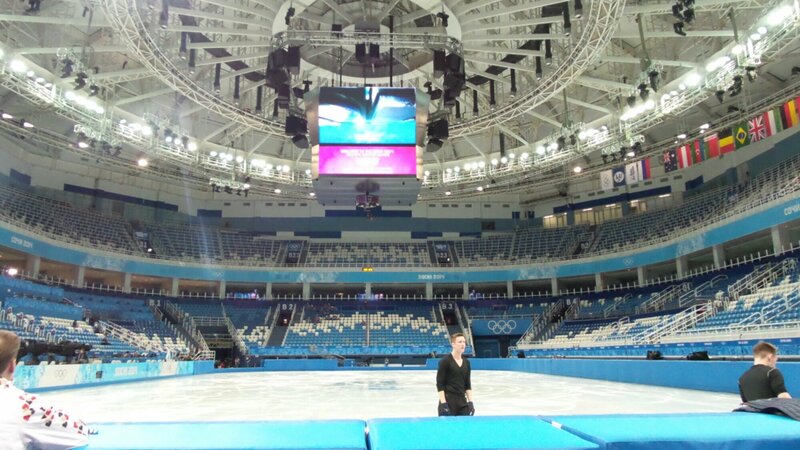 Figure Skating team photos. 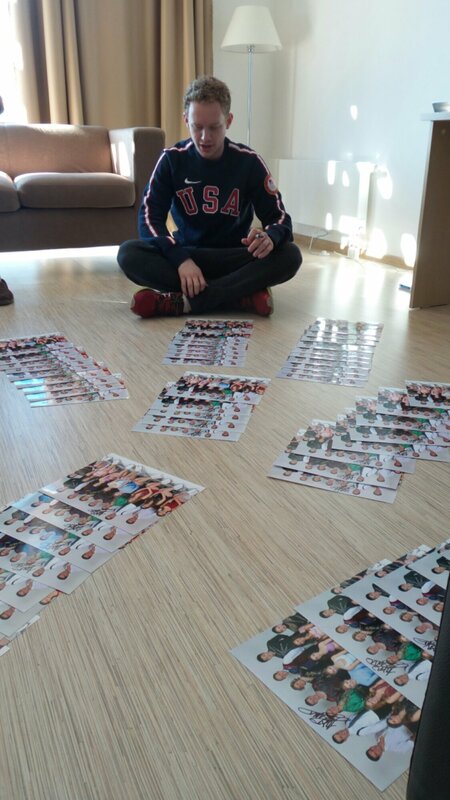 Jason spread them out in an organized manner all over the floor for easier signing. 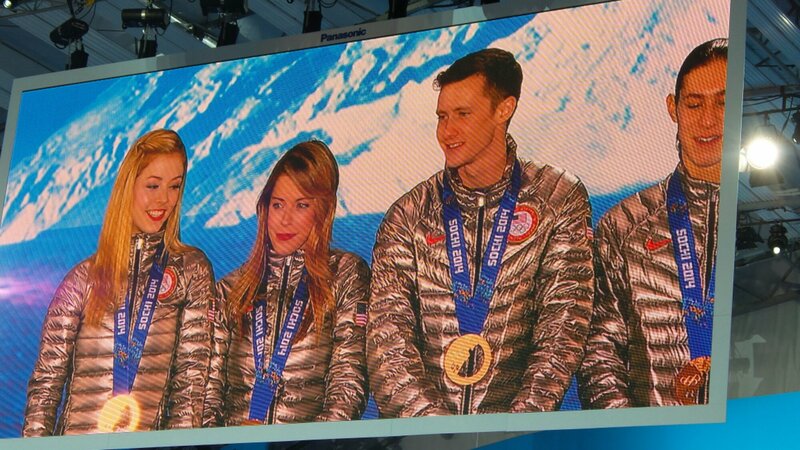 I think I can bring one home for each of my nieces (Hi Madeline, Anna and Audrey!). 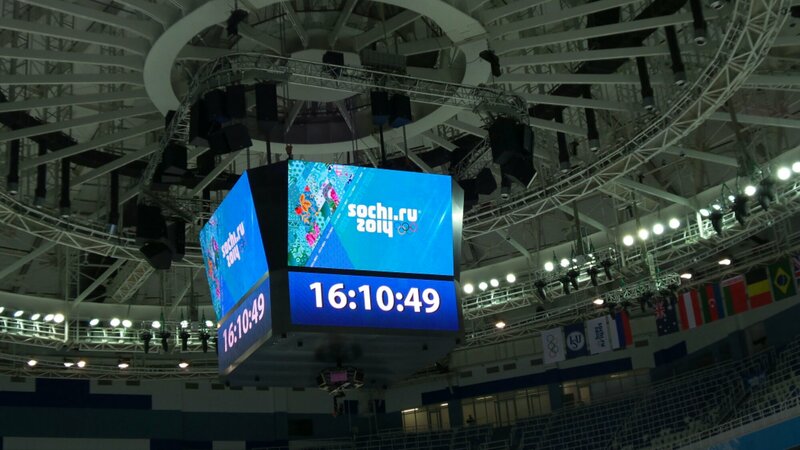 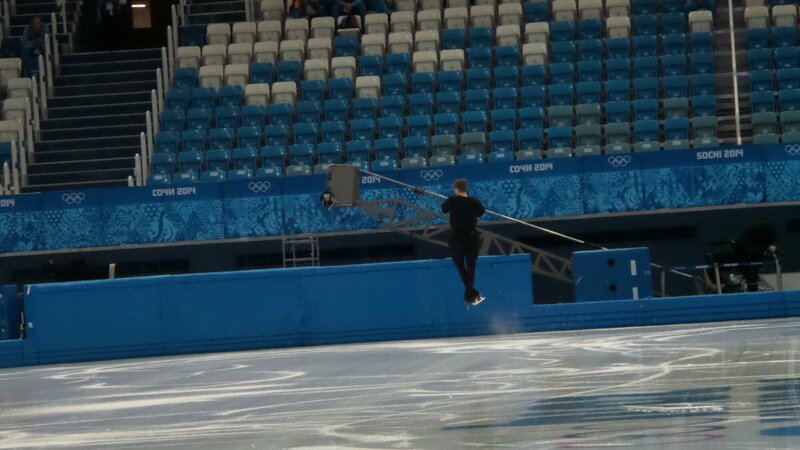 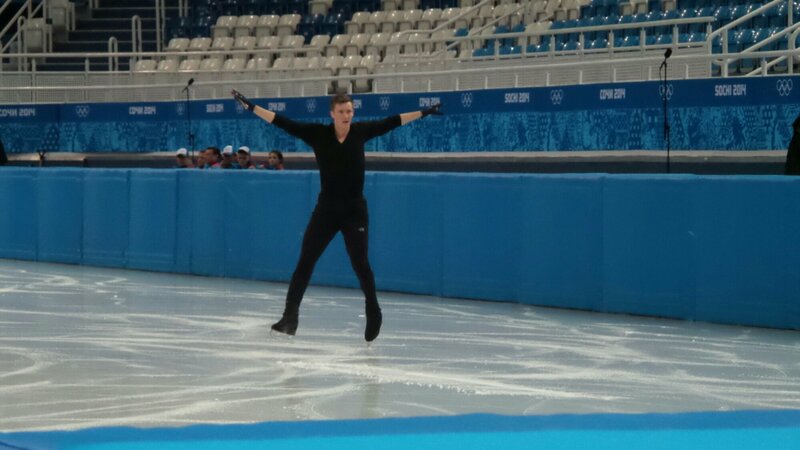 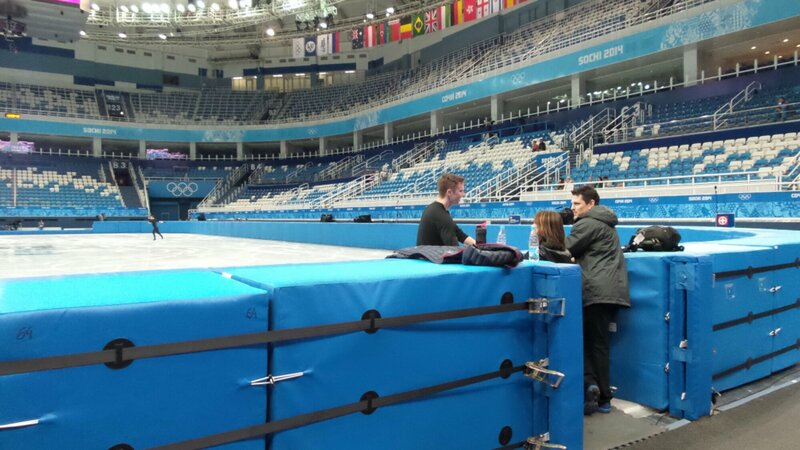 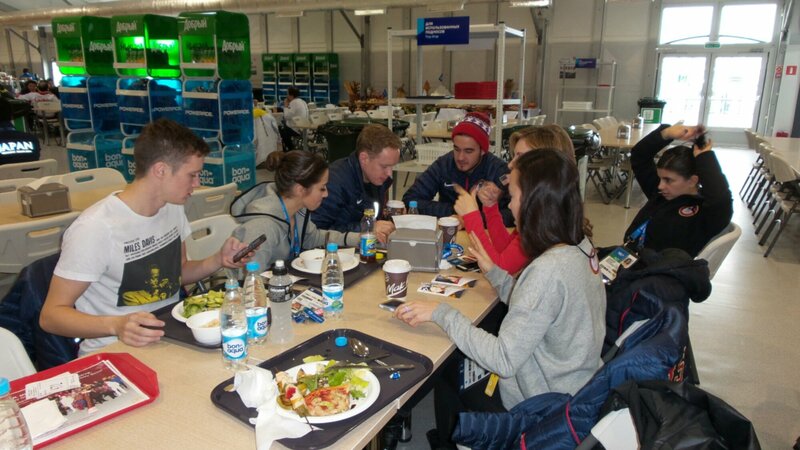 Here’s Jeremy Abbott practicing for the Team Event in the Olympic rink. 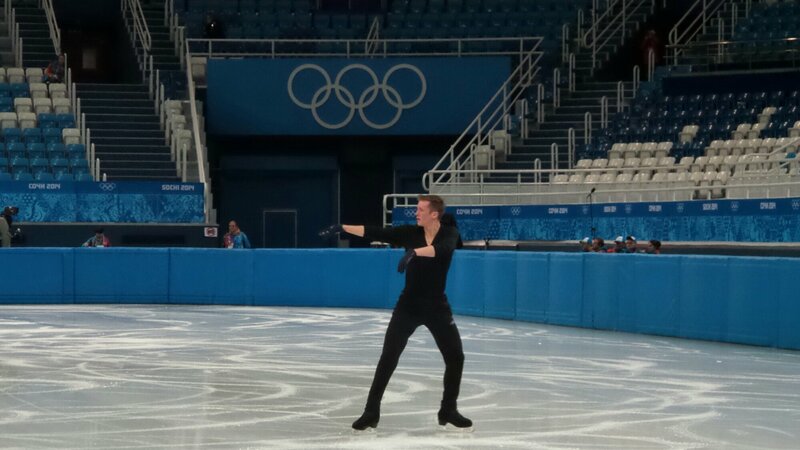 Go Jeremy! 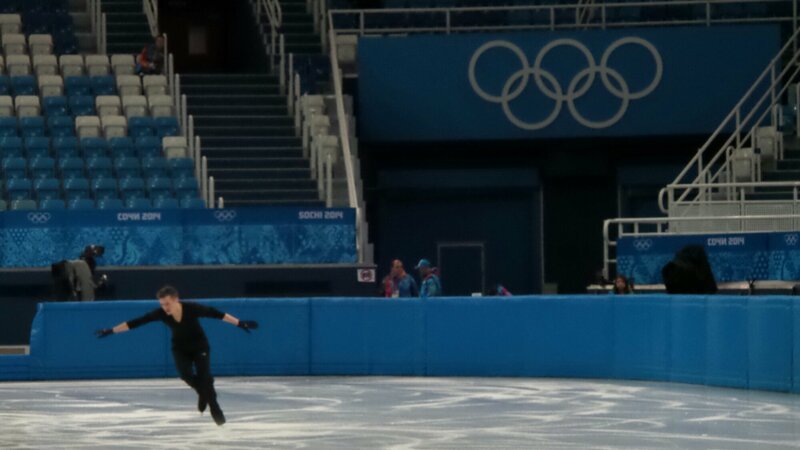 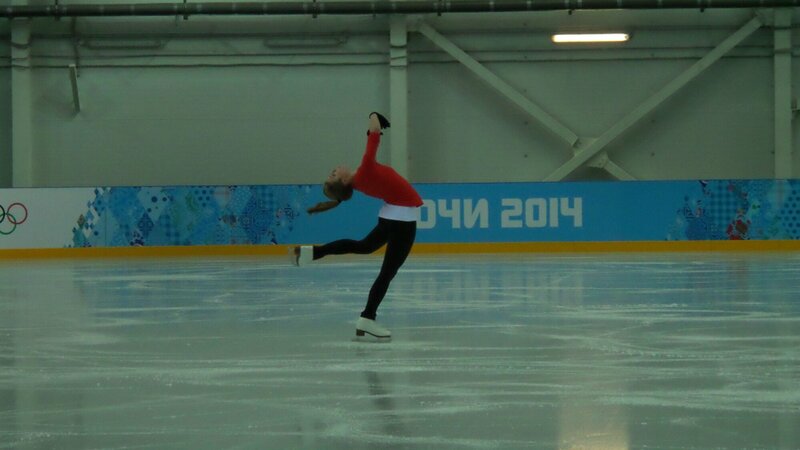 Here’s Ashley Wagner in practice.